Greg Dixon '66 enrolled at Westmont hoping to sing with the Westmont Quartet, a group he admired as a youngster growing up in Southern California. Happily, he succeeded in joining the ensemble as a sophomore and junior. The quartet traveled on weekends and in the summer, leaving him little time for anything besides his psychology major. But the group that brought him to Westmont also took him away. He and three other quartet members left school to perform as the Blenders on the Lawrence Welk television show from 1965-67. "It was fun being part of such a great group of people," Greg says. "We have a lot of friends from the show and still do some work with them." Greg's wife, Barbara, appeared as a dancer on the program for six years. They married in 1967 after leaving the show and moved to Santa Barbara so Greg could finish college. He spent nine years doing youth work with the YMCA before switching to human resources. After 20 years in this field, he retired in 1998 from JD Edwards. Barbara taught dance lessons part time while raising their children, David '91 and Diane Pauls '94, and owned a studio in Denver, Dancing with Barbara, from 1984-2007. 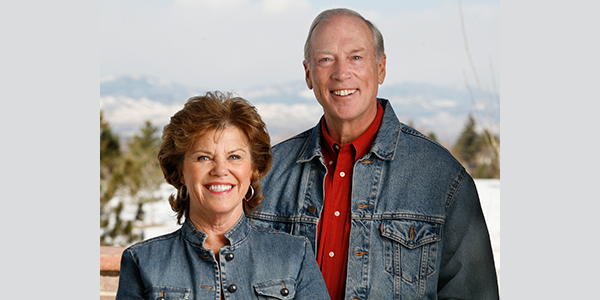 The Dixons, who live in Centennial, Colorado, now focus their energies on volunteer mission work. A founding board member of Global Connection International, Greg heads up their outreach to churches in Central America. The organization equips pastors there to lead their churches effectively and do humanitarian work. Greg told his children many stories about his college years, and he and Barbara were so proud that both graduated from Westmont. David teaches English in Thailand, and Diane lives in Denver with her husband, Brian Pauls '94, a commercial real estate developer, and their three children. "We love Westmont and really believe in Christian higher education," Greg says. "We see Westmont as an alternative to secular public and private schools." The Dixons created an endowed scholarship honoring the late music professor John Lundberg and have made an additional provision in their will for the college. "We read a lot about colleges with large endowments, but we don't see Westmont on that list," Greg says. "Westmont could really use that kind of money to help make education more affordable." Reproduced with permission from the winter 2008 Westmont College Magazine. For more information about how to create an endowed scholarship, please contact the Office of Gift Planning at (805) 565-6058 or giftplanning@westmont.edu.